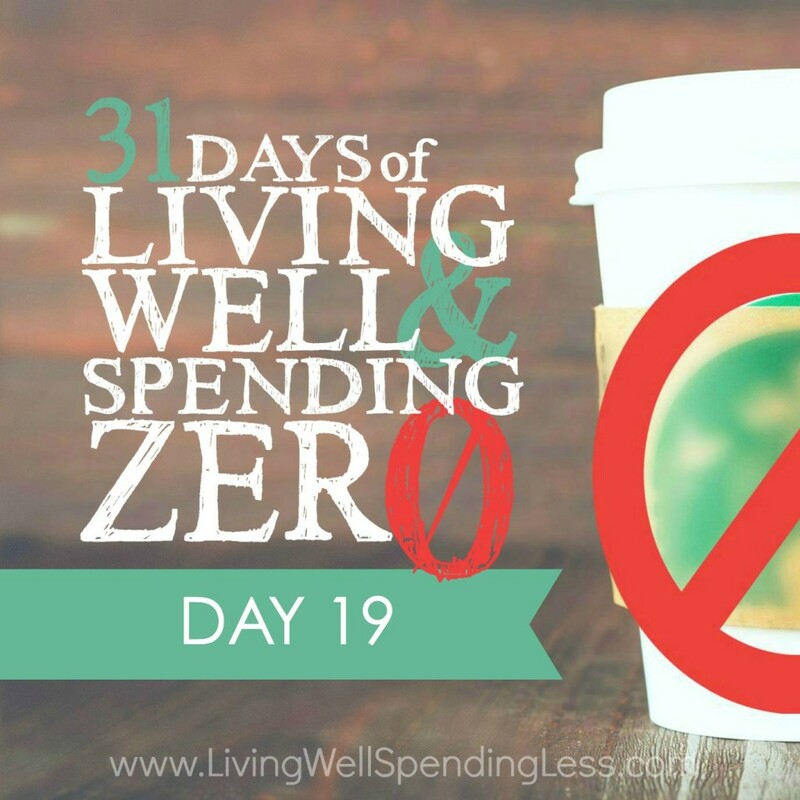 This is the nineteenth day of our 31 Days of Living Well & Spending Zero challenge. Start with Day One here. Here we are, very nearly done with Week 3! 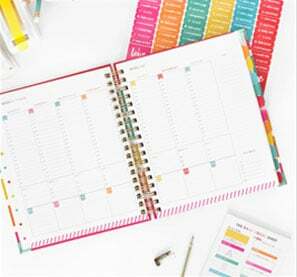 Hopefully you’re feeling like you’ve learned a thing or two, you have a mild case of DIY fever, and you’ve been enjoying a productive few weeks of spending zero. I know there have probably been more than a few difficult moments, but I hope you will be encouraged to know that we really are in the home stretch. 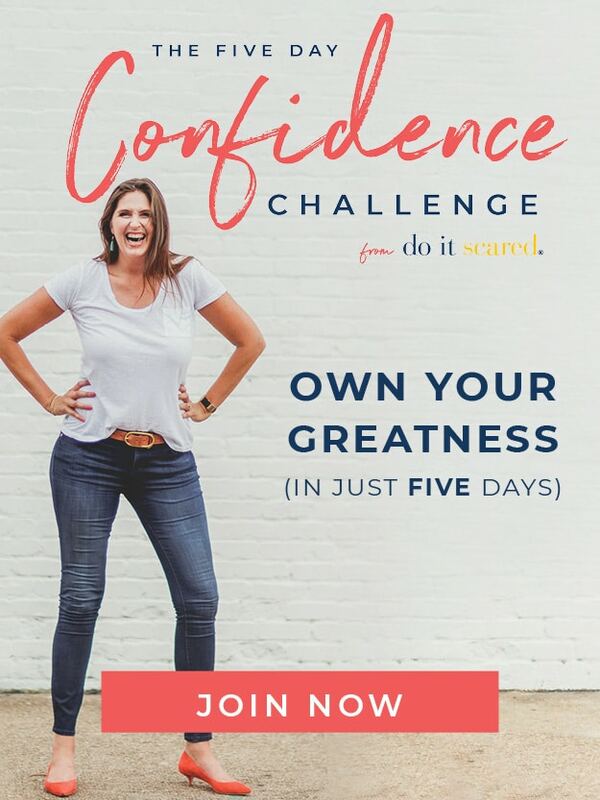 Once again, I have to reiterate, you shouldn’t feel like you have to keep up with every single challenge, every single day. The objective here is to give you some resources and ideas for alternatives to reaching for the credit card or running to the store. It’s to help you get yourself into the savings mindset! Today is going to be fun. This may surprise you, but I am a total spa girl! Back in the day, before I started blogging, I was the director of a large day spa in the Seattle area—yes, I actually managed a spa! Believe it or not, as part of my job description, I was required to receive regular spa treatments as part of employee evaluations and quality control. (In case you are wondering, yes, it was a pretty fun job!) I have to admit—there are times I really miss the days of frequent facials, massages, paraffin dips, and hair treatments! We all deserve a spa day now and again—and it shouldn’t be expensive. Tomorrow, we have a special treat in store, but today, your goal is to create at least one of these homemade spa treatments. Many of these ingredients you probably have at home. If you don’t have essential oils, you can always go with unscented versions. (If you’re interested in purchasing essential oils, I highly recommend Young Living, but be sure to wait until your month of no spending is over! You can find out more about essential oils and how to use them here. All of these treatments make great gifts as well, so make a double batch if you have the ingredients! Who’d have thought you could treat yourself and someone else while spending zero? These cute little oatmeal bath sachets can also be used in the shower. 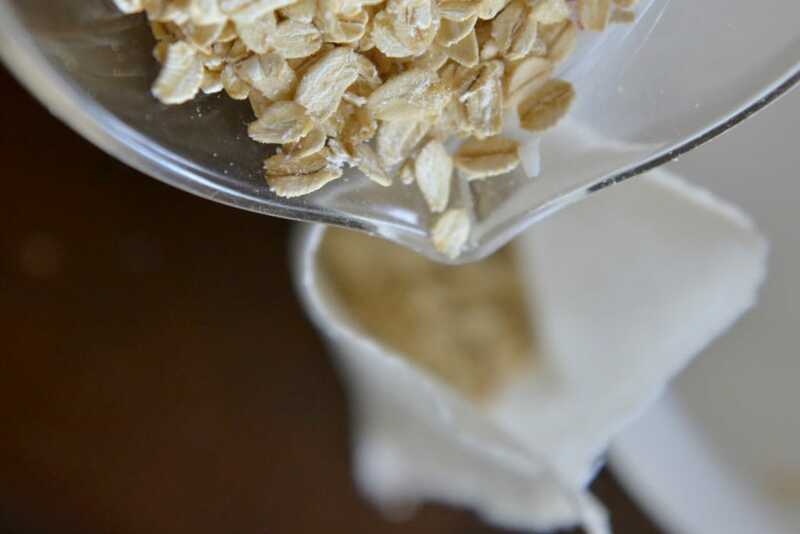 Oatmeal is great for soothing sensitive skin and helps add much-needed moisture during winter months. Gather your ingredients—old-fashioned oats, a bar of soap, and the essential oil of your choice. I used lavender, but eucalyptus, lemon, peppermint, or bergamot would all be nice as well. Measure 1½ cups oatmeal into a bowl; use a knife to shave approximately 1 tablespoon of soap into oatmeal and then add 15–20 drops of your favorite essential oil. Mix well. Carefully pour into prepared bags. Sew shut the open side of each bag, then trim the excess to make a square shape. I love taking bubble baths—the more bubbles the better—but I can’t stand the artificial scents of most commercial bubble baths. This super-easy recipe uses a shampoo base. Try lavender for a relaxing bath. (It’s great for bedtime baths for your kids too!) Or you can try eucalyptus for a soothing bath when you’re sick. Gather your ingredients—unscented (preferred) shampoo, ½ cup water, salt, and essential oils. Measure ⅓ cup shampoo into a large measuring cup or bowl; add water and mix well. Add 1 teaspoon salt and mix well until mixture thickens; add 15 drops of essential oil. Pour into an 8 oz. jar or bottle; use 2 tablespoons per bath. 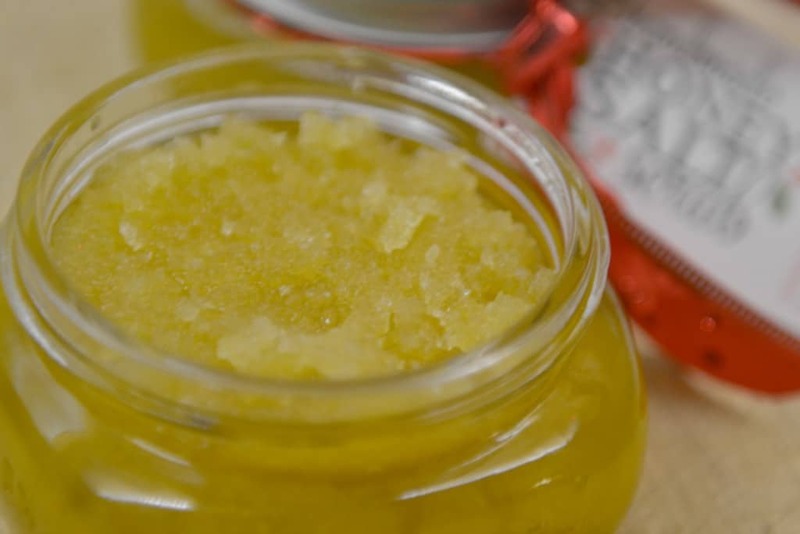 This luxurious scrub is both exfoliating and moisturizing, a perfect combination for the dry winter months. I love it with peppermint or eucalyptus essential oils, but lemon or bergamot is also very refreshing. Gather ingredients—olive oil, honey, salt, and essential oil of your choice. Measure ⅓ cup honey into a measuring cup; add ½ cup olive oil; mix well. Add approximately ¾ cup salt, a little at a time, mixing well until mixture reaches a thick but scoopable consistency. Add essential oil and mix well again. Transfer to jar or other airtight container. This exfoliating mask is great for most skin types. It uses only three ingredients, but must be kept refrigerated, as it contains fresh yogurt. It should keep in the fridge for approximately one week. Mix ⅓ cup honey with ⅓ cup yogurt. Blend well. 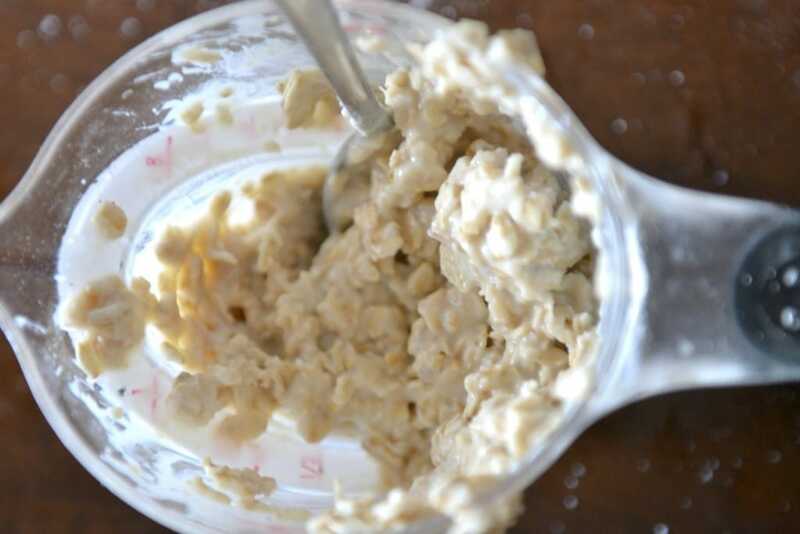 Add in approximately 1– 2½ cups oatmeal until mixture makes a thick paste. Transfer to a jar or other airtight container. Will keep one week. To use, spread over face and let dry for 15 minutes. Rinse with warm water. There you have it—four easy and luxurious recipes that use ingredients that you probably have on hand. 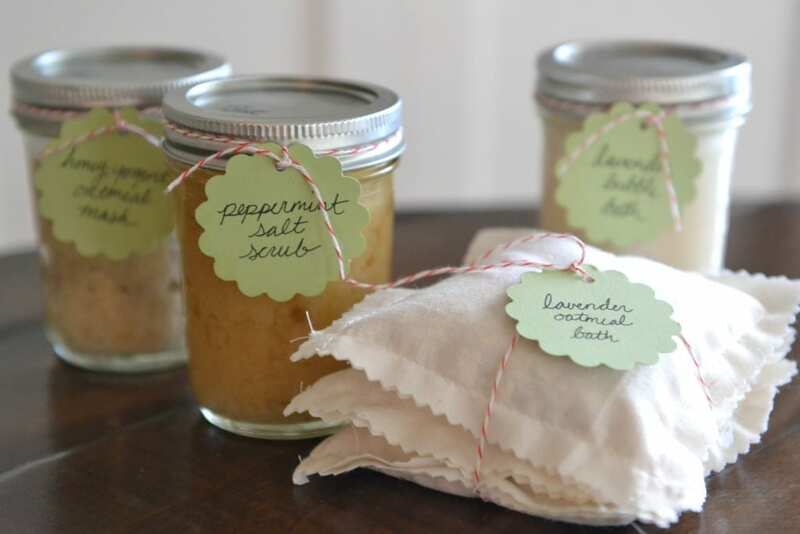 Your assignment is to create one homemade spa treatment today, then gather up any other relaxing bath supplies you already have and get ready for a spa day tomorrow! If you cleaned and organized your bathroom last week, you likely found some long-forgotten goodies like hotel lotions or fancy scented soap. Tomorrow you can put them to good use! Finally, chill some water in the fridge (add some lemon, mint, or cucumber if you have any on hand), be sure your bathroom is clean, and get ready for some relaxation!